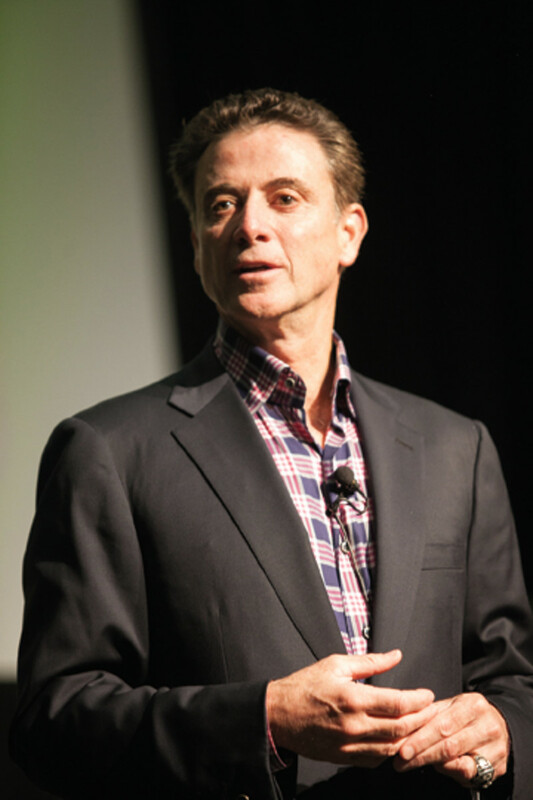 Industry players got a pep talk from a master motivator when two-time national collegiate champion basketball coach Rick Pitino delivered the keynote address at the IBEX Industry Breakfast on Sept. 17. Pitino, who coached his University of Louisville Cardinals to the 2013 NCAA championship, framed his talk on the motivational non-fiction book he co-authored, “The One Day Contract,” which was published in October. “If you have just one day to be renewed, as an athlete or a salesperson, what would you do?” Pitino asked the audience of more than 450 before explaining the strategies behind his philosophy of making the most of each day, regardless of vocation, and to “earn” a new contract every day. That begins with meticulous preparation to succeed and entails focus, passion, positivity, creativity, mentoring and living in the present. He discussed the importance of maintaining high self-esteem and fostering it in employees and colleagues; the need for “meaningful distractions” from any vocation to avoid burnout and inspire rejuvenation and passion; and understanding how stress only produces negative results while pressure causes people to thrive at tackling a challenge. Pitino closed by encouraging his audience to embrace those values and that attitude to create a brighter future for their businesses and the industry.